Our Vineyard Tasting Room, in Nicholasville, KY is closed to the general public. Please visit our new tasting room at Fayette Mall in Lexington. We welcome private party reservations at the vineyard and will be hosting monthly tours with our vintner as well as special vineyard events. Tucked away in the rolling hills of the Bluegrass, our estate is settled just a few miles from America’s first commercial vineyard. 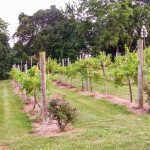 Kentucky’s soil produces excellent wine grapes when varieties that thrive in our terrain are chosen for planting. Our estate currently has three and one half acres of mature, producing vines which include Vidal Blanc, Seyval Blanc, Chancellor, Cabernet Franc and Norton. Our wines have heart! 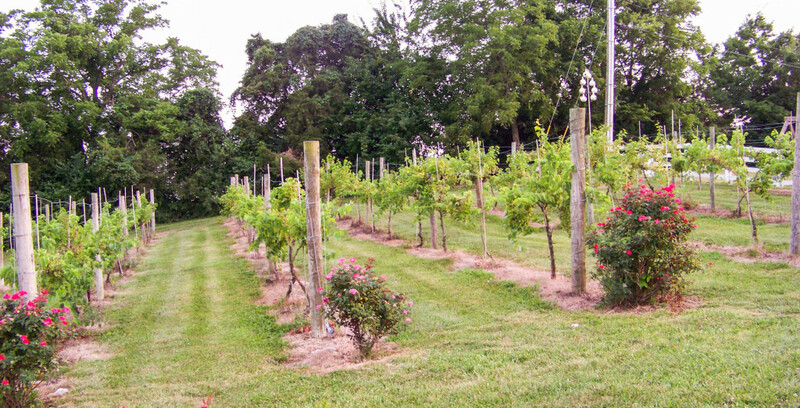 Our grape wines are 100% Kentucky Proud, which means that not some, but all of the grapes we use are grown here in Kentucky and our wines are processed, bottled and labeled right here at the estate in Nicholasville. Along with our own grapes, we purchase harvests from over twelve other growers.